Previous Post Pad and i: 6. East Hampton. Next Post Pad and i: 7. I’d like to make a toast. Love this Danny …wonderful collection of drawings and an intro to a terriffic artist….gotta try the thumbprint things…I have plenty of inky fingers from a faure into printmaking. Have a great Christmas holiday and New Year Danny….see you in SBS in 2018! Thanks again for such inspiring books . So much fun to discover. Once again, Danny…a very enjoyable book review. Happy Holidays! Thank you Danny, enjoyed the BookClub and the subject mater. Great choice, Danny — thank you once again! Danny, I really enjoy Sketchbook Club, and I am happy to hear that you are continuing this program next year. When feasible I also buy the sketchbooks you review. I like to copy the sketches of others. I believe their insight not only enhances my art but also enriches me as a person. For the last year I have wanted to visit the Brooklyn Art Institute’s sketchbook collection, but I do not know if that travel destination will happen. 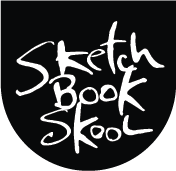 I think Sketchbook Club is a fantastic substitution. I really enjoy your commentary. Thank you for sharing, Janis Scilley. Would love to hear a review of any book by the great Al Hirschfeld. His drawings of celebrities with minimal lines is pure genius. wonderful drawings. Love this series, have found it really inspiring and introduced me to lots of people I have never come across. What an inspiration! Could I be related to this interesting artist? Thank you for sharing this Danny. Have a great vacation.